What Is The First Earth Battalion And How Did It Originate? Post Vietnam 1978 was a time when military morale and enrollment were at an all time low. During this period the U.S. Army needed to drastically shift approaches and prepare to defeat a vastly larger Soviet force in Europe. Army leaders called upon officers to develop needed creative approaches to dealing with this challenge. They were encouraged to fully explore the Army’s Be All That You Can Be philosophy. In response, U.S. Army Lieutenant Colonel Jim Channon created the First Earth Battalion, that collected new technologies to support a conceptual prototype of the soldier of the future. Channon was inspired by the human potential and advanced human performance movements and drew many of his ideas from these fields and from the time he spent at Esalen Institute. Many senior generals in the Army backed Channon because he was a bold example of what a young officer could do creatively. The word spread and other elements within the Army became more boldly involved in testing ideas that were on the edge. They came to call him the “lightening rod”. Like any endeavor that involves studying new ideas, some of the ideas panned out and others did not. The larger story is that the U.S. Army is one of the most creative organizations in the world and that it must continue to be so in order to deal with the radically different missions it must prepare for. Few people understand that reality because of the rigid prototype the media has created around military culture. Jim Channon delivered his ideas about the First Earth Battalion through his illustrated field manual, Evolutionary Tactics which offered a 21st Century vision of the soldier of the future. Evolutionary Tactics was published by the Army in 1978. The manual was modeled after the popular Whole Earth Catalog with illustrations of advanced human performance skills. It is credited with kick-starting a very creative surge of activity in the U.S. Army. Army commanders adopted the elements that served them. There was no one cookie-cutter solution. Original copies have become something of collector’s item. Since that time, tens of thousands of copies have been downloaded from the Internet by fans across the globe. The archetype used in the manual is the warrior monk … who is invincible in war but very persuasive in peace. We see this model in action in the middle east today. Who Are “The Men Who Stare At Goats”? • Jim Channon was never discharged from the U.S. Army. He served in the U S Army as an infantry officer and creative spark-plug from 1962 to 1982 and was in Vietnam twice 65-66 and 70-71. During his time in Vietnam, he lost just one infantry soldier and never killed an innocent civilian. He was known for his ability to imagine and illustrate the future battlefield and its advanced applications. Returning home from Vietnam, his goal was to find non-lethal and peaceful solutions to potentially change the shape of war as we know it and save lives in the process. His work in the military was highly respected as he was asked to present to large high ranking conferences with his most creative talents and launched a simulation and games program that is now funded at 50 million dollars a year. • Channon retired from the military in 1982 and did not serve in Iraq. (Ronson speculated that the sound healing therapies detailed in Evolutionary Tactics evolved into torture techniques in Abu Graib or Guantanamo. This is total speculation since sounds have been used since the beginning of armed struggle to influence moral or frighten the enemy. Was The First Earth Battalion A Secret Paranormal Force In The U.S. Military? No. The Earth Battalion has acted like a think-tank collecting and reviewing advanced human performance skills from all disciplines and it still does. It was never secret although some of the spin-off ideas may have became secret once tested (such as remote viewing.) The think-tank is still active and provides advanced human performance solutions for soldiers planet-wide. It is supported by Jim’s retirement pay and has dozens of other volunteer military thinkers as part of the brain trust. Paranormal sensibilities possessed by soldiers can increase survival rates on the modern and very complex battlefield. The goal is to create more situationally-aware combatants with a more advanced understanding of threats, allowing for peaceful incursions into dangerous areas and sparing the lives of civilians. Most futurists today tend to be people who communicate about what might happen in the next few years. Visionaries tend to cast images about possibilities that seem far ranging. What he does is interview leaders and scan the planet for things that are working now. Then he upgrades their potential and bundles them into socially attractive settings. So, then they become strategies that are describable and organized graphically so people may actually get at the business of creating and even constructing them. Walt Disney created the word imagineer to make the connection between visionaries and engineers. To some extent his graphics talents allow him to illustrate things that can be constructed because they are drawn in 3D. He uses a personally created advanced visual language to get this done. If you view his over 70 videos on youtube.com you will see the graphics and storywork live. His real gift is that he has scanned the social architecture of the earth and has created bundled solutions for many parts of the coming world. His focus is on qualities of life assembled in beautiful settings. He has interviewed over 2000 leaders on their ideas of a future with a higher purpose. Those ideas have been assembled in PROJECT EARTHRISE that he created with the fellows at the World Business Academy. They are ideas projected 100 years out. We believe he may be more fluent in long range futures than anyone alive at the moment. He has an extra-ordinary set of skills. Not surprisingly many original members remain actively involved in planetary affairs. Jim Channon lives in Hawaii on an eco-homestead and has pioneered a wide range of evolutionary ideas for living. Jim is still actively engaged in envisioning the global militaries of the world coming together as a New Earth Army to deal with environmental and social problems of the future. He calls this endeavor Operation Noble Steward and has written about on his website and discussed it in his many You Tube videos. John Alexander, the father of non-lethal weapons has just completed a major analysis of Africa and has written two books on the future of warfare. His character in the film is played more or less by the George Clooney role although there are few direct correspondences since the comedy writer needed all the creative license he could get. John’s book, The Warrior’s Edge, provided an accurate description of many of his projects that explored phenomenology. Still exploring, he currently serves as a council member of the Society for Scientific Exploration [http://www.scientificexploration.org/] and the board of directors of the International Remote Viewers’s Association [www-irva.org]. Major General Bert Stubblebine is developing a sustainable community in Panama and raising global awareness about questionable medical practices created by large pharmaceutical companies involved in Codex. Most of the 130 some odd members of the Army’s original think-tank called Task Force Delta (where these ideas were spawned) have gone on to positions of meaningful social responsibility and other future-based technologies. Psychic spies? True. The non-fiction book which serves as the movie’s basis features Colonel John B. Alexander. He served as a Special Forces commander in Vietnam and spent decades promoting the use of psychics and “remote viewers” for national security. (That is, when he wasn’t pursuing his interests in -linguistic programming, UFOs, or non-lethal weapons.) In 2007, our own Sharon Weinberger interviewed Col. Alexander in some depth on the military use of witches. “They were doing palmistry, crystal ball kinds of stuff,” he said. Danger Room also noted Col. Alexander’s long-running feud with Armen Victorian (alias Henry Azadehdel, alias Habib Azadehdel, alias Cassava N’tumba and others), orchid smuggler, conspiracy theorist and all-round spooky character in the intelligence world. Moving into the further reaches of the fringe we find earlier work, such as Boeing’s 60’s psychic experiments which concluded that certain subjects could force a random number generator to produce a specific number by sheer willpower. By 1985 an Army report declared that “psychokinesis could, with continued research, have a potential military value for future military operations ” and as recently as 1996 the phenomenon of eyeless vision was being investigated. Military psychics may still be in business: a 2007 report suggested that the 9/11 attacks had been predicted some years beforehand by Remote Viewers. In the post-9/11 world where every option seemed worth exploring, it’s not implausible that some psychic spies were reactivated. Drug experimentation? True. Troops were doused with everything from concentrated cannabis oil to LSD — at times, without their knowledge. Researchers would watch as servicemen would then “carry on conversations with various invisible people for as long as 2-3 days.” The CIA was so enamored of acid, the agency had to issue a memo instructing that the punch bowls at office Christmas parties were not to be spiked. Hippie Army? True. Lt. Col. Jim Channon dove deep into the New Age movement, and came back to the military with a most alternative view of warfare — one in which troops would carry flowers and symbolic animals into battle. In the movie, Channon is played by Jeff Bridges. His First Earth Battalion is renamed the “New Earth Army.” But the ideas are the same. Much of the artwork from the New Earth manual is lifted straight from the Channon original. Channon has been taking advantage of the publicity for his cause; this week he has a column in the Guardian newspaper, suggesting (among other things) that armies should be used for reforestation and navies to control over-fishing. The military’s interest in Eastern and alternative practices is once again on the rise. “Warrior mind training“, apparently based on ancient Samurai techniques, is being taught at Camp Lejeune as a possible treatment for PTSD. Elsewhere the Army has a $4 million initiative exploring other approaches including Reiki, transcendental meditation and “bioenergy.” The Air Force is looking into acupuncture for battlefield pain relief. Killing animals with telepathy? False. The most outrageous claims in the movie (and book) is that military psychics could kill goats by looking at them. Even John Alexander says this isn’t true. “As I told Jon Ronson when the book first came out, Alexander writes, ‘He [one of the soldiers] hit the goat.’” Goats are the one of the preferred substitutes for human targets in military testing, and there are rumors of lethal goat-zapping experiments with the Active Denial System. Special operations Command use them for training battlefield medicine – first shoot your (anesthetised) goat — a practice which is still controversial. In her review of the movie, Col Alexander’s wife mentions that in real life her husband can disperse clouds by looking at them — “It certainly helped during our cruise to Antarctica!” – but asserts that he has never used his powers to kill a goat. (Look at time lapse photography of clouds and cloud-busting becomes less impressive). Psychics are notoriously prone to believing in their own powers and are often convinced that experiments have proven their abilities when the results have been equivocal. In the Guardian, Dr. Phillip Sponenberg suggests that mytonic or fainting goats plus little self-deception may be behind the supposed success of the goat-staring experiment. However, as the First Earth Battalion’s manual makes clear, winning the psychological battle is a big part of the struggle. If your opponent believes that you can kill them with a look, then they are already half-way to being defeated. And many martial arts masters know that by overawing their students with displays that might be described as trickery, they can convince them of the value of their discipline. So it might be best not to take everything quite at face value, as Jon Ronson does in the book and Ewan Mcgregor does in the movie. Or maybe they really can kill goats with a look. The movie, The Men Who Stare at Goats, is based on a book of the same title. While listed as nonfiction, the facts were extrapolated almost beyond recognition. The people in the book were listed by their real names. I was named many times. While some Special Forces units experimented with various techniques, the vast majority of the incidents came from one of two other sources. Formal psi research programs were conducted in the U.S. Army Intelligence and Security Command (INSCOM). There was also a unique think tank called Task Force Delta at Headquarters Department of the Army and later at the Army War College. Delta was arguably the most innovative organization in the world. With support of senior leadership, we were consciously pushing the envelope. It should be noted that all of the explorations undertaken were done based on solid rationale. – The First Earth Battalion (1EB) was created by Lt. Col. Jim Channon, a brilliant imaginer and artist. He literally owns the First Earth Battalion concept. Having been involved in many creative projects during my 32 years in the United States military, and observing the Army’s responses to them, my objective was to point out that creativity is much easier to say, than it is to execute in large organizations. Almost invariably, as creative projects gain increased visibility, the more traditional values of the large system come in conflict. When that happens, steps are taken to eliminate the creative project. In the monograph I addressed seven such innovative Army projects as well as several from the other services. (No service, organization, or individual has a corner on creativity.) The Army projects addressed were all successful, yet all were terminated as opposition from conventional sources rose. One of those projects, the Army’s Organizational Effectiveness program, was probably the largest institutional transformation project ever undertaken by any organization. 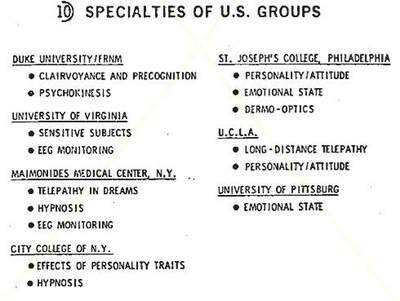 The monograph covered several projects, including remote viewing, that run counter to conventional scientific wisdom. Despite theoretical arguments about the fundamental causation, an operational capability was developed. However, because of the perceived controversial nature of some of the material, including remote viewing, an executive decision was made that the monograph would not be published by a U.S. Government organization. Based on my agreement with JSOU, I am free to publish that material in other sources. The monograph will be done in its entirety in book form at a later date. Given the recent development of the inept and highly fictionalized book, Men Who Stare at Goats, as a movie, it was determined it would be useful to present a more accurate picture of the history surrounding some of those projects. While the book tends to present the material in a ridiculing and somewhat humorous manner, these projects were both successful and developed with a lot of serious thought behind them. Both Jim Channon and I are covered extensively in the book, for which even the title is misleading. (While there was a goat involved, it was physically hit by a martial arts instructor.) This article will present material that provides background on two of the seven projects. One lesser-known project, called Task Force Delta, was closely related to Jim Channon’s legendary and boundary-breaking work on The First Earth Battalion. ** In a large part, it was we, the members of Task Force Delta, who initially helped spread the about Jim Channon’s creative endeavor. The early 1980s military think tank called Task Force Delta was an extremely creative organization dedicated to exploring concepts of high performance. It is unlikely that any military unit has ever been as cost-effective. General Don Starry actuated the concept when he was the U.S. Army Training and Doctrine Command (TRADOC) commander (1977-1981). He was familiar with James Grier Miller’s Living Systems theory, which was just emerging at that time. This theory posited that all living systems, no matter what size or complexity, had three main functions. Those were input, throughput, and output and they applied from unicellular life, such as ameba, through large social organizations including the U.S. Army. General Starry believed that systems theory offered lessons that would be beneficial to the Army’s development and the future challenges that it would face. Initially Colonel Mike Malone, a respected leadership and systems theory expert, directed the evolution of the organization. With Malone’s retirement, the Task Force Delta think tank soon moved to the Army War College at Carlisle Barracks, Pennsylvania. Then Lieutenant Colonel Bill Witt provided leadership while waiting for the permanent director to be transferred from the Army Chief of Staff office. Lieutenant Colonel Frank Burns, an OE officer for General Meyer, became the director and remained there until the unit was abolished. All of those directors possessed inquisitive minds and a healthy understanding of emerging systems theory. The basis of the Task Force Delta think tank was an extremely small core group, supported by interested people, all of whom worked in other organizations. The entire staff consisted of one lieutenant colonel, one civilian equivalent, and three administrative personnel. Participation by other people was on a totally voluntary basis. Frank Burns cast a wide net both inside the Army and in the civilian sector looking for people with innovative ideas and concepts they could contribute. Meetings were held quarterly, and most participants had to secure their own funding. Even many civilians with no other affiliation with the Army attended at their own expense. The meetings were so mentally stimulating that members rarely missed a session. Some sessions could best be described as data gathering and mental cross-pollination. Presentations on a wide range of topics would be arranged. For many of the civilians it was a unique opportunity to provide ideas directly to an Army audience that was open to new ideas. Some noted their frustration at previous attempts to beat on the Army’s front door only to find that most offices were just too busy to listen. In those times, fighting fires was the theme of the day. More important than the formal sessions was the ability to network with bright, innovative people. It was not uncommon for informal gatherings to go on late into the night, sometimes at the expense of nodding off the next day. That really did not matter. Also significant were the interpersonal contacts that routinely assisted participants in their regular assignments back at home station. Many deep bonds were formed. In fact, a substantial number of these relationships continue today, nearly 25 years later and long after the official demise of the Task Force Delta think tank. On occasion, tasks would be assigned to the members attending the Task Force Delta think tank meetings. An example is when Lieutenant General Max Thurman, then Deputy Chief of Staff for Personnel, asked the group to explore all aspects of future Army personnel issues. The topics ranged from recruiting and retention to professional education, health and welfare, leadership principles, organizational structures and assignments, and emerging human capabilities. In response, meetings were conducted from Monday through Thursday noon. Initially plenary sessions occurred and later small, self-defined groups that discussed specific aspects of the personnel system. As with other meetings, these sessions tended to run through meals and late into the evening. At noon on Thursday the discussions stopped, and the real work began. Each person decided what topic area they wanted to contribute to. A chapter outline was provided, and the teams went to work. Being very self-motivated, most people worked continuously throughout the night. When General Thurman arrived at 10:00 a.m. on Friday, he received a bound book containing the deliberations on all aspects of the personnel system and many suggestions about how to deal with future complex issues. Two items are important to remember for this 1982 time: a) word processing, as it is commonly known today, did not exist and b) the think tank conference attendees were all volunteers. Nobody had a laptop computer, shared networks, or memory sticks. The physical requirements of producing a written document of that magnitude took tremendous effort. Nobody was graded on their input, nor would their efforts ever be reflected in personal efficiency reports. Some of the participants were civilians, whose only motivation was the excitement of being able to collaborate in a truly high performing organization and the possibility that somebody might read their concepts and recognize that it could be applied in the Army. Obviously the book had not been edited, and chapter formats did not all match; that would come later. The success was definitively demonstrating the primary effort necessary to create such a complex document in a short period of time. The Task Force Delta think tank proved what systems theorists predicted about the possibilities that emerge when high performing organizations are tasked and then given permission to respond as they deem necessary. The networking efforts went far beyond periodic meetings. The Task Force Delta think tank led the way in obtaining and initiating computer networks that were populated by regular people, not just techno-wizards. In the late 1970s and early 1980s, only a few researchers and innovative managers understood the potential power of computer networks. Malone envisioned a small organization that could be used to research the possibilities that emerging technology and networking provided by the think tank. At this time, personal computers were scarcely known. Yet many of the think tank members were given one to take home and use. Most of the communication was done during off-duty hours and transmitted at the rate of 600 baud, thus simple messages could take several minutes to download. In an age where 24 mega bits per second (Mbps) is attainable, communicating at such slow speeds is almost inconceivable. While the Internet concept in 1980 was embryonic, the ability to network was considered extremely innovative. For the first time, the Task Force Delta think tank members demonstrated how to staff papers around the world in less than 24 hours. This ability was a dramatic improvement over the telecommunications of the day, or sending printouts via mail and taking weeks for coordination. Following Malone’s initial guidance, the composition of the Task Force Delta think tank remained closely balanced. He insisted that organizational composition include what he termed both “bumblebees and butterflies.” In other words, as a counterweight to some pretty far out ideas, he wanted people with their feet planted firmly on the ground and an excellent sense for the realistic needs of the Army. As we were just coming out of the Vietnam War, virtually all of the Army officers involved had combat experience, which served well as a sobering reminder of the real world. What the Task Force Delta think tank demonstrated was that high performing networks could provide significant advantages over traditional organizational communications. The financial costs were very small compared to the return of efforts provided from the vast volunteer network that addressed a myriad of tasks because they found it interesting. People worked extensively, not because they had to, but because they wanted to. Guidance was minimal and generally not necessary. Participants with difficult problems could have near instant access to a wide range of technical experts. As each scouted the burgeoning intellectual terrain, they reported back, often self-initiating new areas of inquiry. However, some traditional leaders viewed such intellectual freedom as a threat. Shortly thereafter, the Task Force Delta think tank was closed. Among his personal skills Channon was (and still is) a phenomenally gifted artist. He had an extraordinary ability to listen to people describe abstract concepts, then quickly transform those ideas into easily understandable graphics. In fact, some of the basic symbols and graphic designs used in the Army today originated with Channon over 25 years ago. His artistic ability and mental acuity were widely known by senior officers who often coveted his capabilities. Before Thurman briefed the U.S. Army senior leadership, he would always ask, “Where’s Jimmy?” Although assigned outside of the Pentagon, even on the West Coast, Channon would be summoned to quickly create the visual briefing materials. His renderings included a vast number of the normal overhead transparencies as well as his large-scale summaries called “monster-grams,” continuous charts that would cover many feet and could be taped to the walls of the briefing room. The state of the art in projection technology had not advanced to a degree anywhere close to what is available today. Channon was also a key member of the Task Force Delta think tank and worked closely with Frank Burns and others in that circle. Therefore, he was one of the group who were seriously engaged in studying cultural transformation in the post-Vietnam era. As repeated attempts to convey transitional concepts in traditional briefing format failed, Channon realized that an innovative framework was required to help people fully understand the significance of these events. As with all organizations, especially old institutions, change is mightily resisted. The concept, he believed, had to be one that fostered free thinking, or what later became known as “out of the box” thinking. The name First Earth Battalion literally appeared in his head during one of his many transcontinental flights. He terms this innovation as a “mystical hit.” The concept was to create a large catalogue of possibilities and display them graphically. At that time a book titled The Whole Earth Catalogue was selling widely in New Age circles. It contained pages and pages of new technologies, techniques, and materials from which the reader could choose. Similarly, Channon created the First Earth Battalion catalogue as a field manual, which was designed to provide readers a permissive-thinking platform. Channon now describes the Earth Battalion as protomythological—looking at the future while rooted in a historic framework (the battalion). The motto of the First Earth Battalion was dare to think the unthinkable. These words were taken in a positive sense, not the foreboding notion that meant massive death. Channon’s drawings were done in black and white. Often they were sketchy and suggestive with limited text, and the concepts intentionally never were written out in detail. He wanted people to fill in the missing material for themselves. The concept was to get people to think, not to view the catalogue as a finished document, or worse, a total blueprint for an actual Army organization. Many of the concepts were way beyond the understanding of traditional Army officers. For instance, exchanging soldiers and their families to populate critical targets in opposing countries was never seriously considered as a viable operational concept. Rather, by describing a conscience corps, Channon was focusing on the consequences in human terms should a nuclear exchange occur. In truth, many in the military had become rather cavalier when discussing nuclear strike capabilities. However impractical in reality the notion was, it did cause readers to think about the implications of nuclear strikes in a new and more personal light. He eventually bundled these ideas under what he called “combat for collective conscience.” As he predicted, global opinion today is shaped by the ethical judgments of the world that watches combat unfold. Well before the current outpouring of concerns about global warming, Channon’s work had strong ecological preservation components. He envisioned energy conservation, recycling technologies, and reforestation as voluntary integrants of the military, not issues to be forced on posts through draconian legislation. In many areas Channon’s concepts were way ahead of their times; and he readily acknowledges the need for an incubation period, often years and maybe decades, before new ideas can be brought to fruition. As a further example, in a 1979 version of the First Earth Battalion, he already envisioned strategic micro forces—smaller units that could act decisively without requiring the massing of larger forces. In a way, he was describing what SOF has become but at a time when these elements were not as highly regarded as they are today. Balance was an essential element in much of Channon’s work. In some areas the Army could easily accept his ideas. Physical fitness, albeit with lower impact on joints, was reasonable. He was a strong advocate of establishing and maintaining a healthy diet. New theories were emerging about how the brain functions and exercises to enhance cognitive capabilities. The use of previsualization before engaging in complex tasks was encouraged. Also advocated were ancient, and proven effective, meditation techniques. Establishing a balance between mind and body seemed to resonate well in the Army. However, Channon’s notions of integrating spiritual concepts, especially ones that transcended national boundaries, were of more concern to some casual observers. In fact, the First Earth Battalion did suggest that individuals would operate in a global, not national, context and focused on planetary peace making. The acknowledgement of a tripartite balance of body, mind, and spirit is less well accepted within military circles. The concept of the warrior-monk has survived for millennia. However, in the U.S. Army, spiritual matters were generally left to the chaplains and seen as matters of personal choice. Channon, however, invoked the need for balance in all three domains, and did so unapologetically. A limited number of original copies were made of the First Earth Battalion. Initially these 300 copies were circulated to selected members of Task Force Delta think tank. The draft annotation on the title page expressed the notion that this document was a living instrument. Demand for copies quickly grew as information about the script spread via word of mouth. Those officers holding originals began photocopying additional copies and handing them to friends. Channon notes that this was an intentional means of distribution as it created a mystique about the nature of the manuscript and gave it enhanced value. Many people who had only a vague notion of the Task Force Delta think tank wanted copies of the coveted First Earth Battalion. People who never would have normally read the paper did so because of the preternatural aura associated with owning a copy. The underground distribution technique probably ensured wider readership than it would have obtained had it been formally printed and officially sent out. The effectiveness of this scheme has been noted. Over the decades, photocopied versions of the original manuscript could be found with officers who were interested in future concepts. With the military today, a sub rosa element that circulates this document still exists. Soon this somewhat mysterious concept was to escape beyond the bonds of the Army. 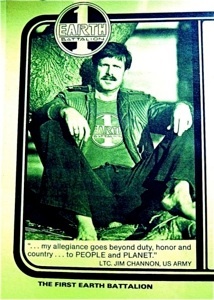 Within a short time civilian media were asking Channon for information about the First Earth Battalion. In February 1982, a popular publication of the day, Omni Magazine, carried an article by that title. That was quickly followed by a Dateline segment on NBC that featured Lieutenant Colonel Channon discussing the inner workings of the notional organization. Despite prior approval of the Public Affairs Office at Fort Lewis, Washington, many senior officers in the “Big Army” were not happy seeing a lieutenant colonel pushing the conceptual envelope on national television. Under-appreciated by a number of traditional-minded generals, Channon retired from the Army in September 1982. He retained the copyright for First Earth Battalion, and in recent years he has slightly updated the original publication by adding a colored cover. It is currently available on the Internet. In 2005 more than 10,000 copies were downloaded for free; printed copies are sold to those interested in that format. As testament to the efficacy of the notional concepts Channon brought to the Army, he successfully transitioned those same skills to the civilian sector. There, he has assisted a dozen of the world’s largest 100 companies (and many others) to envision their futures. He provides multidimensional graphics and storytelling magic that allow their employees to more fully comprehend, and be charged, by the company’s objectives. In a recent interview, Channon noted many of the key aspects that led to the development of First Earth Battalion. At that time the Army depended heavily on formal written documents to convey structural information. Various field manuals and other official publications provided rather sterile, highly organized transfer mechanisms for technical information. Eschewed by the military, Channon opined, was transmission of the cultural information that engendered the soul of the organization. Like today, the late 1970s was a period of cultural transformation as the Army struggled to recover from the distasteful experience of Vietnam. To be successful, the change must be deeper than doctrine documents. Channon’s objective was to revitalize the Army he loved at a most visceral level. Channon studied various religious rites of passage. Throughout history these rituals have evoked primal emotions, a very scary notion, even counterintuitive, for many staid military officers. He noted also the importance of symbology and ceremonies. True loyalty was not something obtained by a written or sworn oath. Rather deep and abiding loyalty comes from shared common experience, especially when endured in hardship. To communicate culture means establishing programs that produced many such shared experiences and often incorporated historical events of great importance to the organization. He noted that cultural transference through ceremonies has tended to be squeezed out by the exigencies of day-to-day business. The importance of this medium is still not fully understood. Beyond the printed document, Channon embodied the essence of cultural transformation. He advocated and demonstrated the ability to simultaneously communicate complex, value-laden information on multiple channels simultaneously. 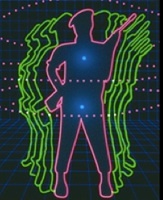 Employing visual and auditory effects as well as orchestrated emotional stimuli, Channon’s techniques had the ability to initiate concordance in multisensory modes so that soldiers would integrate the Army’s values at a deep-seated, core level. * Among the SOF elements are U.S. Army Rangers, U.S. Army Special Forces, U.S. Navy SEALS and Special Boat units, U.S. Air Force Air Commandos, and other specialized units. ** Note that Task Force Delta was an Innovate think tank that had no relationship with any other military organization using Delta In Its title. “Dr. John Alexander has been a leading advocate for the development of non-lethal weapons since he created renewed interest in the field starting in 1989. An original thinker, he has developed other unique concepts for conflict that must remain undisclosed at this time. He entered the US Army as a private in 1956 and rose through the ranks to sergeant first class, attended OCS, and was a colonel of Infantry in 1988 when he retired. During his varied career, he held many key positions in special operations, intelligence, and research and development. From 1966 through early 1969 he commanded Special Forces A-Teams in Vietnam and Thailand. His last military assignment was as Director, Advanced Systems Concepts Office, US Army Laboratory Command. After retiring from the Army, Dr. Alexander joined Los Alamos National Laboratory where he was instrumental in developing the concept of Non-Lethal Defense. As a program manager, he conducted non-lethal warfare briefings at the highest levels of government including the White House Staff, National Security Council, Members of Congress, Director of Central Intelligence, and senior Defense officials. He also met with heads of industry, and presented at academic institutions, including Columbia, Harvard and MIT. There has been substantial derision associated with the book, The Men Who Stare at Goats, and the movie of the same name. However, information has recently come to light that suggests that the basic concept that led to the ignoble title was derived from a painful lesson in the U.S. Army Special Forces history. Specifically, it stems from the capture, and lengthy captivity, of then-Lieutenant James “Nick” Rowe in South Vietnam. For those who may not be familiar with him, Rowe is still considered a hero in Special Forces. Unfortunately, despite his legendary actions as a prisoner of war (POW) in Vietnam, he was assassinated by communist insurgents in Quezon City, in the Philippines on 21 April 1989. Almost presciently, now-Colonel Rowe had reported that he was second or third on the terrorist’s target list. The basics of his capture and imprisonment are known. On 29 October 1963, LT Rowe, along with Captain Rocky Versace and team medic, Sergeant First Class Dan Pitzer, was taken as a POW near the village of Le Coeur in An Xuyen Province while advising a Civilian Irregular Defense Group (CIDG) unit. The team members were separated and later, in 1965, Rocky Versace was executed by the Viet Cong. He was last heard singing God Bless America at the top of his voice. It was based on reports of his continued resistance, that Versace was awarded the Congressional Medal of Honor in 2002. Then, in December 1968, 62 months after falling into the hands of the Viet Cong, Rowe was rescued during an American air cavalry raid in the U-Minh Forest also known as the “forest of darkness.” The years in captivity were extremely harsh for Rowe. He repeatedly attempted to escape and was frequently subjected to torture and physical deprivation. Like Versace, he was also threatened with execution on several occasions. As the VC had grown tired of his continued resistance, Rowe was finally scheduled for execution at the end of December, just a few days after his fortuitous rescue. Even that event proved to be a close call as Rowe was nearly shot by the helicopter crews. Though clad in black pajamas, he was recognized as an American by his beard and scooped up. Throughout his years in detention Rowe maintained a constant vigil and mental awareness of his surroundings. Though physically weakened, he tried many methods to gain an upper hand. For a long time he convinced the Viet Cong that he was an engineer who happened to be the war zone. Rowe was concealing the fact that he was a Special Forces intelligence officer and had access to information about camps across the Mekong Delta. It was only after some American peace-advocates went to North Vietnam and provided a complete list of names and units that his captors learned his true identity and that they had been fooled. Rowe paid a high price for that revelation, but he had successfully evaded being forced to provide useful information to the enemy. By the time the Viet Cong understood his importance, the information he had was too dated to be actionable. After his recovery from serious diseases and extensive injuries, Rowe left the Army. Then, in 1981 he was recalled to active duty and went to Ft. Bragg where he became the director the Survival Evasion Resistance and Escape (SERE) course. * The intent of that course was to prepare members of special operations forces, and other personnel conducting high risk missions, to be better prepared for the eventuality of being cut off from friendly forces or worse yet, captured. Obviously, it was Colonel Rowe’s personal experience in captivity that caused the senior leadership of the U.S. Army Special Forces to place him in that position of high responsibility. Enter the goats. As mentioned, during his captivity Rowe tried a wide variety of techniques to assist in escape. Being the director of SERE, he had considerable latitude in exploration of unique measures that might be helpful for the students. Drawing on his background Rowe was determined to explore all options of techniques that might prove useful. To that end, he directed a senior NCO assigned to the school to track down information about dim mak, a relatively obscure martial arts skill known in English as the death touch. Dim mak defies conventional physiology. It is not a hard blow to a vital organ. Rather, it involves a relatively light strike that is designed to interrupt the flow of chi (or ki in the Japanese tradition) in such a manner that death follows several hours later. According to Chinese medicine philosophy, this life force, or chi, flows along meridians throughout the body and moderates all human functioning. This concept of chi is the basis for the Eastern medical practice of acupuncture, and while easily observable it is not commonly accepted by Western medicine practitioners. The NCO went to the U.S. Military Academy at West Point and worked with members of the combative skills course. There he was told about a civilian instructor by the name of Guy Savelli who professed some of these very advanced skills. Savelli was contacted, his capabilities verified, and then he was brought to Ft. Bragg where he taught several students. As I told Jon Ronson when the book first came out, “He hit the goat.” At that time I thought it was Savelli who had executed the blow to the goat in question. In fact, it was this same senior NCO who had been trained by Savelli who hit the goat leading directly to its death several hours after that. It was the moderate physical energy expended combined with the delay in time of death that was the sought after outcome. It worked. As I recorded in my first book, The Warrior’s Edge, I have seen the photos taken of the necropsy that show most remarkable physical damage to the goat. Specifically, there was a path of energy, not unlike what a bullet would produce while transiting a body, which ran across the chest cavity. The difference was that there was no wound of entrance or wound of exit. The NCO has recently confirmed those observations as well. That experiment may be the first tangible, albeit elusive, evidence that dim mak can produce physical results (death). Like this NCO, I trained with Savelli, but for a shorter period of time. That experience left little doubt that Savelli had mastered some very advanced martial arts skills and could teach them to others. Rowe was not prepared to limit his inquiry to the physical impact of dim mak. Based on his extensive experience with his Viet Cong captors, he believed that they could be mentally influenced. The first objectives were relatively simple. Could a guard be made to look in a certain direction? Could the prisoner cause the guard to walk in a specified direction, or pause for a longer period of time? What were the limits of influence that could be applied by a prisoner? While the answers to these questions remain obscured, there is some literature, mostly anecdotal, that supports the notion that remote influence is a distinct possibility. During my training in the Washington area, Savelli described to us a technique he called the mind stops. In it, he claimed that he could confront an adversary, and then he would maneuver himself behind that person without them being aware of his movement. This capability is not unique and has been reported by other researchers. One fairly well documented case is that of Wolf Messing, a German Jew who fled to the USSR at the beginning stages of World War II. His unusual mental skills attracted the attention of Stalin who arranged for a series of tests. During one dramatic demonstration he was able to pass by attentive guards and enter Stalin’s well-protected house. When questioned, the guards claimed that they had witnessed Lavrenti Beria, dreaded head of the NKVD, enter the premises, not Messing. Another, more extreme, form of remote mental influence was reported by KGB defector, Major Nikolai Kokolov. 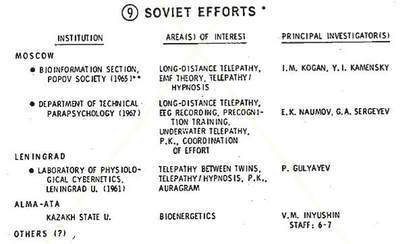 Among other topics Kokolov reported on the extent of psychic research being conducted during the Cold War. In debriefings, he described the Soviet use of mental influencing to actually fracture the spinal columns of test subjects. Current readers may not be aware that lethal experimentation on humans was conducted in several subject areas. By the time he took over leadership of SERE, COL Rowe had access to that intelligence information as well as his personal experience with similar techniques to draw upon. It is worth noting that beyond the anecdotes, there is scientific research has been conducted in the area of remote influencing. In its most basic form, prayer is a method of invoking remote intervention in one’s life, and there are many studies demonstrating the success of those techniques. Those are beyond the scope of this piece, but worth exploring to interested readers. In addition to esoteric mental influence techniques, the SERE instructors explored more mundane and pragmatic approaches as well. Of particular interest were martial arts techniques in which the initial movements appeared normal and non-threatening. As an example, simply brushing one’s hair aside in a seemingly harmless manner may allow the prisoner to move their hand within a few inches of a guard’s eyes. Under other conditions, allowing a prisoner’s hand close to vital organs would be perceived as a potential attack, and would likely cause a severe response by the guard. Camouflaging intent of aggression is not new. In fact, there is an entire martial arts form that was founded on the concept of masquerading offensive movements, thus allowing practice to occur uninhibited. Capoeira is a Brazilian fighting art form that was developed by the African slaves as they prepared for conflict with their owners. The graceful and intricate movements were portrayed as a harmless folk dance. In reality, the moves were designed to enhance the fighting skills of the practitioners. The history dates back at least two centuries, and Capoeira can be observed in many Brazilian cities today. As renowned commentator Paul Harvey used to proclaim, “And know you know the rest of the story.” Therefore, taken in context, staring at goats, or hitting them, makes more sense than what one might initially believe. Instead of being overly concerned about a foreigner’s attempt at humor via gross distortion of truth, maybe we should embrace this opportunity to explain the perfectly logical origins that form the basis of those experiments. That includes acknowledging visionary contributions of one of our heroes and fallen comrade, Colonel Nick Rowe! • Note: SFC Pitzer was released by the Viet Cong in 1967. This action was in response to American protestor visits. Pitzer was a medic, and the other two POWs released were black soldiers as the VC played the race card. • Like many SOF personnel, the NCO involved with the SERE training described wishes to remain anonymous. While retired from the U.S. Army, he continues to work in a sensitive position serving the interests of his country. Five years ago, Jon Ronson showed up on my doorstep to interview me for a TV series, Crazy Rulers of the World. I watched with interest as he digested all the edgy ideas about an army trying to reinvent itself for the 21st century into his programme. Jon’s job was to show the paradox between how visionaries think and how politicians get it wrong. He then expanded the show into a book, The Men Who Stare at Goats, partly based on my First Earth Battalion manual. The Battalion “mythology” I developed was a creative thinking tool designed to encourage the young leaders in the army to think of new ways, with the aim of changing the nature of war and improving the chances of survival for all involved. It was intended to stretch the imagination. The film is a comedy, because the screenwriter Peter Straughan saw great potential in the humorous contrast between the soldier archetype and some of the more “hippy” ideas mentioned. So, why did four of the brightest actors in Hollywood team up to make a movie about a small, activist band of army officers? Was it their fascination with the audacity and spirit of these men, who wanted to make a difference in the world? Could it have been George Clooney, known for his politically provocative films, who felt he just had to tell the world the unbelievable tale about a very creative period in the US army’s history? People ask if I’m upset about myself or other members of the First Earth Battalion being portrayed as fools. I guess it’s the ultimate “roast”. What I’m mostly pleased about is that the First Earth Battalion’s shelf life has been extended far into the future, and that the real story now has a chance of getting out. I find it very interesting to remind people that 30 years have passed since I wrote the Earth Battalion field manual. I’ve always wanted the story to be told by Hollywood – it’s one of great hope and promise, a mythology meant to start a social movement and to inspire individuals, both military and civilian. The goal is to evolve beyond conflict to a new level of peace-making where we can collectively address the social and environmental challenges that create global conflicts in the first place. So I have been doing lots of other strategic shamanic work since 1978. My work shifted to corporations: I have taken the same approach to redirecting Fortune 500 companies and other large institutions toward their higher purposes; I leave them with visionary illustrations to guide the followup. I came to London and reminded Shell that they were really a liquid transportation company and they could carry fresh water about with virtually the same technology they use for oil. Paradigm shift! But old-world thinking persists on the battlefield. What really gets my goat is that the “shock and awe” that happened in Baghdad is now part of the reason it’s taking so long for trust to be restored in Iraq and Afghanistan. That’s hard on the frontline soldiers. The term “psychic spy” features in The Men Who Stare at Goats. That’s because the paranormal is critical to New Earth Army missions. Firstly, an extended range of perception using all senses is the key to not stepping into a killing zone. Modern warfare may seem less violent than traditional scenes of men charging up hills in the face of oncoming fire. But paradoxically, it can be worse – worse because civilians are also often present in the battle area. One miscue and an avalanche of bullets or shrapnel can be triggered in which everyone in range becomes the victim of the chaos. Not entering such situations is the key to victory. Remember, the real victims of war are the young soldiers who must live a lifetime of regret and trauma because they have inadvertently killed a woman or child in the heat of a firefight. We must accept that the trauma victims of modern warfare are casualties for the rest of their lives. Not moving into danger zones is simply the most skillful thing any unit can do in many situations. Another important idea about the paranormal is that it is currently one of the most overlooked skillsets in modern life. We must awaken to the possibility that the most important single advance the human race can make to enter this century where we engage the galaxy and all of its mysteries will require we become adept at moving through dimensions of many kinds. We must tend to our interdimensional world. It is often overlooked, but the Marshall Plan executed after the second world war may have been the largest humanitarian exercise in the history of the planet. The allied armies decided to put Europe back together. Military forces had, and have, the tools and proper organisation to help reconstruct the very things they have destroyed. Imagine if all services were asked to recover the living biosphere of our planet which we know is compromised. The Earth is the only stage for life that we have. After years of thinking I have conceived of important missions matched to a corresponding capability for each branch of service. The army would properly reforest and clean the fresh water sources. The navy would control over-fishing and recycle the ocean waste. The marines would tend the shorelines and restore the coral reefs and wetland areas. Then the air forces would sense the environment from above and detect polluters while also having the instant mass transport of rescue villages for all the displaced refugees likely to surface during climate change. The many national guard units would reconstruct the countryside with the assistance of the youth to bring nature back to her fullness for a more decentralised and sustainable world. The corporations would all shift 30 degrees to the green. Global villages and the internet will become our worldwide exchange system, and former power centres will just be support services. The world is already one culture. Countries are obsolete and have been for 30 years. The full story on this program has yet to be fully told and we are the only members of the original design team who were also involved with the program’s full delivery. The senior officer whose inspired leadership brought this program into being, has asked us to consider writing the definitive full story of this historic program. Some day we hope to fulfill his request. We are frequently invited to offer briefings on this program for leaders around the globe who are interested in the profound implications of applying lessons learned to equipping cadres of leaders in other disciplines with the wisdom, resiliency and capacity to accomplish their complex missions. This work clearly has increasing relevance in preparing leaders and communities to resiliently meet the challenges, and embrace the opportunities, of these times. The stakes were very high. We* were asked to work with two highly strategic elite teams, whose mission had the potential to either trigger or avert World War III, under the old Cold War scenario. Our mission was to design and deliver a full-time intensive and holistic program to equip these two A Teams of Special Forces Troops with the personal, team, and mission capabilities necessary to recognize and reduce the conflict/war within themselves so they could perform at peak levels in the midst of extreme danger and distress – such as working behind enemy lines for prolonged periods of time. Prior to submitting our proposal, we went through considerable soul searching. We consulted many of our mentors and advisors, and contemplated the potential implications, both positive and negative of participating in designing and implementing such a program. During this same period, Trident submarine was coming into Puget Sound for the first time. As we pondered this RFP from the Army we realized that if we had six months to train the crew of a nuclear submarine that we would feel that the world was a safer place. It became clear that the benefits to the men and to the globe were potentially extreme. We assembled our team, created and submitted our proposal for a six-month full time training program. We received an almost immediate reply from leaders at West Point Military Academy who evaluated our proposal and stated that our proposal represented “the most exquisite orchestration of human technology we had ever seen!” Their response was heartening. For this pioneering project we designed an extensive lab of state-of-the art technology to teach the men mastery of their minds and bodies. It was vital that our soldiers learned skills for recognizing and transforming their inner demons into inner allies. Our advanced Biocybernaut training combined technologies of biofeedback, neurofeedback, cyberphysiology, and contemplative inner methods of mastery drawn from the vast array of contemplative science traditions. In our lab the soldiers developed the skill and confidence necessary to sense and control many previously unconscious physiological functions: they learned to recognize and control muscle tension, to control blood circulation in order to keep their hands warm in cold environments, manage the intensity and physiology of their responses to stress. For many visiting dignitaries to the base, the Jedi Biocybernaut Lab became a first stop on the tour of the base, where they learned that it was actually possible to recognize and control the level of their blood pressure. The lab included the world’s first multiple-synchrony brainwave feedback system, which we helped to design, in order to teach up to sixteen people at a time to “synchronize” their brain waves in order to move toward a team resonance and flow state of deep attunement to each other’s inner state of being. For men who were outwardly fearless and willing to give their lives for their country, the most terrifying part of our training was a month-long silent meditation retreat that was called, “the encampment.” This was a time of intensive mental training and martial arts training where they learned skills for looking deeply into their own minds and bodies in order to recognize, befriend and transform their “inner enemies”, to resolve inner conflicts and tap inner strengths that could influence their outer effectiveness. They deepened their insight into how these internal enemies could ultimately cost them their lives if they were deployed on their mission. Our teams discovered and learned how to tap reservoirs of inner strength they never dreamed existed. Following this month of intensive mindfulness and meditation training the men were parachuted at night into a four-day ordeal called “the gut check” – a field simulation in very rugged terrain with a series of tests and check-points that needed to be passed on a strict timeline or the men would not have food or water for the next leg of the test. Our two teams were the first in history to muster both the individual and team strengths necessary to successfully complete this extremely arduous mission simulation. In addition to the outcomes summarized below, some of the most notable impacts of our work were evident in an enhanced quality of communication and relationship with their families. Many wives and children of the men thanked us because their spouse/father came home and talked to them and openly shared his feelings and fears. Some commented that their husband/father seemed more in control of his emotions and was able to talk through difficulties without getting physically abusive. One team was selected as the most outstanding team in the NATO Games that year. Many of these men went on to train others in these inner arts, while others were recruited by Delta Force and other special units in the Service. Others taught at the War College or were decorated for their special roles in operations in Somalia, the Gulf War, and Eastern Europe. Over the years we have heard from many of the men that what they learned has saved their lives, their missions, their teams, and their families from many difficult situations. Reports over time indicate that the program had a profound effect on the lives of those who participated in it, opening a vast horizon of new possibilities for personal and professional development. The benefits of this investment in these people’s lives continue to this day. The methods distilled through our work with the Jedi Warrior project have inspired and informed the design of hundreds of programs we have subsequently offered to organizations around the globe. Jedi Warrior provided an organizational learning laboratory that has great relevance for leaders in complex, high-stakes systems who seek wisdom, resilience, mindful presence, collective creative intelligence, fierce compassion, and courage. With practice, the Jedi Warrior core disciplines allow insight and intuition to deepen, courage and confidence to grow, health and performance to improve, and innovation to be guided by a wisdom congruent with the pressing needs of the times. *The original design for this program was created by us (Joel & Michelle Levey) and Bud Cook, and then at a later stage we brought in Richard Strozzi Heckler (aikido teacher), and Jack Cirie (team leader) as members of our core delivery team. It was inspired by the vision of Lt. Col. Jim Channon’s inspired work with the First Earth Battalion. A host of remarkable advisers and visiting trainers also participated in this program, and each brought great wisdom, expertise, and inspiration to this historic training. The Defense Center of Excellence (DCoE) for Psychological Health (PH) and Traumatic Brain Injury (TBI) is soliciting proposals for studies on Complementary and Alternative Medicine (CAM) in service members dealing with sustainment and treatment for psychological health and promoting healing for traumatic brain injuries in service-members. The high prevalence of psychoneurological and other brain injuries associated with the current OEF/OIF war effort make it especially important to understand current use of CAM therapies by service-members, and to explore approaches that may be particularly effective in both protecting and treating the injured service-member. The DoD is dedicated to supporting evidence-based approaches to medical treatment and wants to support the use of alternative therapies if they are proven efficacious. Specific aims of this call for proposals focus on a holistic approach for trauma spectrum disorders, including patients with TBI and/or post traumatic stress disorder (PTSD), depression, anxiety, and/or substance dependence/abuse. With the focus on a holistic approach for trauma spectrum disorders, including patients with TBI and/or post traumatic stress disorder (PTSD), depression, anxiety, and/or substance dependence/abuse, the following delineate several of the areas of interest: 1. Conducting rigorous clinical studies to determine the efficacy of alternative therapies for treating psychological health injuries using techniques such as music, animal-facilitated therapy, art, dance/movement, massage therapy, EMDR program evaluation, virtual reality, acupuncture, spiritual ministry, transcendental meditation, yoga and other novel approaches. 2. Identification of patterns of use of CAM therapies to build resilience in military populations, 3. Identification of factors and perceptions associated with use of alternative and complementary therapies by service-members, 4. Studies of mechanisms and efficacy of biologically-based treatments, botanicals, and nutritional supplements for enhancing cognitive function and mood in patients with trauma spectrum disorders, including TBI and/or PTSD, depression, anxiety, and/or substance dependence/abuse, 5. Studies that examine gender-specific implications and issues related to the use of CAM therapies, 6. Biological mechanisms and efficacy underlying acupuncture for trauma spectrum disorders, including TBI and/or PTSD, depression, anxiety, and/or substance dependence/abuse, including neuroimaging studies, and 7. Identification of the use and efficacy of therapies using bioenergies such as Qi gong, Reiki, distant healing, and acupuncture, especially new biophysical approaches involving instrumentation.Proposals must provide a clear justification and military relevance for the choice of therapies selected for study. Collaboration with DoD medical researchers at the Defense and Veterans Brain Injury Center (DVBIC), clinical research laboratories at military medical centers and VA centers are encouraged and will be considered in the selection of awards. 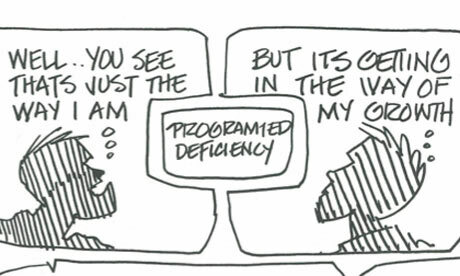 Studies should be designed to test pragmatic and theoretical components at once; thus, they need to include sham control to separate specific from non-specific effects. Rationale should include why the intervention should have effects across trauma spectrum and evaluate putative mechanisms. Use of primary care and community sites should be accessed and networked into participate. Two types of proposals will be considered. Individual research proposals containing preliminary data are expected to average $200,000 per year for up to four years of support; no proposal award will exceed $1M in total funding (including indirect costs). Seedling grants proposing innovative but testable hypotheses without preliminary data, will be considered for $300,000 in total funding (including indirect costs), with research to be completed within 18 months. A total of approximately $4,000,000 is available for the portfolio of projects to be funded. The Pentagon is seeking new ways to treat troops suffering from combat stress or brain damage by researching such alternative methods as acupuncture, meditation, yoga and the use of animals as therapy, military officials said. “This new theme is a big departure for our cautious culture,” Dr. S. Ward Casscells, the Pentagon’s assistant secretary for health affairs, told USA TODAY. Casscells said he pushed hard for the new research, because “we are struggling with” post-traumatic stress disorder (PTSD) “as we are with suicide and we are increasingly willing to take a hard look at even soft therapies.” So far this year, the Pentagon is spending $5 million to study the therapies. In the previous two years, the Pentagon had not spent any money on similar research, records show. About 300,000 Iraq and Afghanistan war veterans suffer from PTSD or major depression, and about 320,000 may have experienced at least a mild concussion or brain injury in combat, according to a RAND Corp. study released this year. Her office issued a request for research proposals this year on therapies ranging from art and dance, to the ancient Chinese healing art of qigong or a therapy of hands-on touching known as Reiki. Sutton’s office narrowed a list of 82 proposals to about 10 projects this year, and research should begin, with servicemembers as subjects in some cases, in the next few months, said Col. Karl Friedl, head of the Army’s Telemedicine and Advanced Technology Research Center, which oversees the work. Friedl said research will include how meditation can improve emotional resilience; how holding and petting an animal can treat PTSD and how acupuncture pain relief can relieve headaches created by mild brain damage from blasts. “We want to add everything we can to our tool kit” for these injuries, said Col. Elspeth Ritchie, an Army psychiatrist. Some soldiers who suffer from PTSD are reluctant to share their experiences in traditional psychiatric therapy, said Col. Charles Engel, an Army psychiatric epidemiologist. He said those soldiers may be more willing to use acupuncture and other alternatives if they are effective. Initial research this summer with combat veterans showed that acupuncture relieved PTSD symptoms and eased pain and depression, Engel said. “Improvements were relatively rapid and clinically significant,” he said. About one third of sailors and Marines use some types of alternative therapies, mostly herbal remedies, according to a survey conducted last year. A recent Army study shows that one in four soldiers with combat-caused PTSD turned to herbs, chiropractors, acupuncture or megavitamins for relief. Although the Pentagon’s study of alternative medicine for combat diseases is unique, research into such therapies for broad public use is not new, said Richard Nahin, a senior adviser for the National Institutes of Health’s National Center for Complementary and Alternative Medicine. The NIH spends about $300 million a year on similar research. But, the 51-year-old board-certified family physician and retired Army doctor adds, “it’s difficult to walk the scientific fence” — dodging criticism from “the hard-core skeptics” who dismiss alternative medicine as quackery and the “hard-core advocates” who accept it uncritically. Jonas has headed the institute — named for its principal benefactor, California philanthropist Susan Samueli — since its inception in 2001. What began as a two-person foundation has grown into a research organization with four offices and a staff of 15. It has an annual budget of about $4 million provided by the Samueli family, and an additional $5 million in contracts from the Department of Defense (DOD) to study alternative treatments. Currently the institute is funding about 50 projects, awarding grants ranging from $20,000 to $250,000 to researchers in the United States, Europe and Asia. Some grants have been awarded to institute staff members. “What they’re doing isn’t science, it’s faith healing,” said Robert L. Park, a professor of physics at the University of Maryland and the author of a 2002 book entitled “Voodoo Science,” which includes a lengthy discussion of homeopathy. Adrienne Fugh-Berman, an associate professor in the complementary medicine program at Georgetown University, said she regarded the studies listed on the SIIB Web site as “pretty self-indulgent.” Fugh-Berman, a physician who has published two dozen studies of alternative treatments, called the belief that homeopathy could be used to fight bioterrorism “embarrassing” and said she regarded optimal healing environments as “spa therapy for rich people. What bothers me about some of the research is that I suspect its objective is to create a veneer of science over certain strongly held beliefs,” she said. Jonas disputes these criticisms and says the institute follows standard NIH grant review practices. He said the goal is to fund credible pilot studies to determine what works — or doesn’t — and that he has no other agenda. Negative results of studies are published on the SIIB Web site, he noted. While the nonprofit foundation tries to subsidize research that is rigorous, Jonas continued, it is not always possible to conduct randomized, double-blind, placebo-controlled studies of alternative therapies. “A high percentage meet those requirements,” he said, but “some things can’t be blinded.” Richard H. Grimm, an epidemiologist who is director of the Berman Center for Outcomes at the University of Minnesota, agreed, noting that much of conventional medicine is predicated on treatments that haven’t been put to such a test. “It’s relatively easy to do a randomized, placebo-controlled trial of something that fits into a capsule,” Grimm said, but not for a non-drug treatment. It was Susan Samueli’s longstanding interest in alternative medicine that led to the creation of the institute in 2001, Jonas said. Around the same time, she and her husband Henry endowed the Susan Samueli Center for Integrative Medicine in the medical school at the University of California, Irvine. The family’s fortune comes from Henry Samueli’s interest in Broadcom, a company he co-founded in the early 1990s while on leave from teaching at UCLA, where he earned a doctorate in electrical engineering. Broadcom pioneered the manufacture of chips used in DSL and cable modems just before the demand for these chips skyrocketed. Over a period of a few years, that invention catapulted the Samuelis from middle-class comfort to the ranks of the Forbes 400, a listing of America’s richest families. The son of Polish Holocaust survivors who as a youth worked in his family’s liquor store, Henry Samueli has made record gifts to the engineering schools at UC Irvine and UCLA, both of which now bear his name. Several months ago the couple bought the Mighty Ducks professional hockey team. Susan Samueli, whose undergraduate degree in math is from Berkeley, has a PhD from the American Holistic College of Nutrition and a diploma from a British homeopathic institute. The holistic college is an unaccredited correspondence school located in Birmingham, Ala.
Jonas’s interest in homeopathy dates back to college. In a 1996 book entitled “Healing With Homeopathy,” he wrote that as a medical student he suggested trying homeopathy on several patients who were faring poorly with conventional treatments and was upbraided by supervisors. Later, while stationed as an Army doctor in Germany, where homeopathy is popular, Jonas said his interest in the subject grew, in part because he couldn’t understand how it might work. Jonas said he thinks the answer might lie in a substance released by an ingredient in glass or could be due to the placebo effect. He said he doubts the view, widely held by other homeopaths, that the water somehow retains the “memory” of the diluted substance, which results in healing. “There are possible ways to explain this on a rational basis,” he said. Two months after the Sept. 11 terrorist attacks, Jonas, a former official at the Walter Reed Army Institute of Research, urged Congress to consider the use of homeopathy to fight bioterrorism. In testimony before a commitee chaired by Indiana’s Republican Rep. Dan Burton, one of the most enthusiastic supporters of alternative medicine in Congress, Jonas said that “homeopathic medical literature reveals numerous reports of apparently successful treatment of epidemic diseases . . . including smallpox” from the last century. A month later NCCAM chief Stephen E. Straus, a virologist, warned the House commitee against using alternative remedies for biological weapons. In 2003 Jonas was lead author of an analysis of homeopathy studies published in the Annals of Internal Medicine. The authors, all specialists in alternative medicine, concluded that homeopathy may be effective for some conditions and “deserves an open-minded opportunity to demonstrate its value” but should not supplant proven therapies. To Colorado physician Steven Bratman, the author of a dozen books on alternative medicine and an expert in research in the field, using homeopathy to combat bioterrorism is “completely insane — not as insane as UFOs, but pretty close. For homeopathy to work, there would have to be a whole new law of science,” said Bratman, a former alternative medicine practitioner who said he abandoned acupuncture and other treatments about a decade ago after he grew increasingly uneasy about their lack of scientific underpinnings. “The fact that DOD is spending money on this research is unfortunate,” he said. Increasingly, Jonas said, the Samueli Institute is focusing on projects that explore and define optimal healing environments, a concept that grows out of his long-standing interest in preventive medicine. “We have a biomedical system that is attempting to apply the acute care model to chronic illness,” he said. “We need a new way of thinking. . . . That’s the salutogenic model.” This interest in healing is reflected in the institute’s expensively decorated suite of offices overlooking the King Street Metro station in Old Town Alexandria. Situated outside Jonas’s office is a large section of an aspen tree, trucked in from land the Samueli family owns in Telluride, Colo. Native Americans, Jonas said, believed the aspen tree was endowed with curative properties. It seemed a fitting symbol. Using ancient Chinese medical techniques, a small team of military doctors here has begun treating wounded troops suffering from severe or chronic pain with acupuncture. The technique is proving so successful that the Air Force will begin teaching “battlefield acupuncture” early next year to physicians deploying to Iraq and Afghanistan, senior officials will announce tomorrow. The initiative marks the first high-level endorsement of acupuncture by the traditionally conservative military medical community, officials said. Using tiny needles that barely penetrate the skin of a patient’s ear, Air Force doctors here say they can interrupt pain signals going to the brain. Their experience over several years indicates the technique developed by Col. Richard Niemtzow, an Air Force physician, can relieve even unbearable pain for days at a time. That enables badly wounded patients who arrive here by medevac aircraft to begin to emerge from the daze of pain-killer drugs administered by surgeons in the field. “This is one of the fastest pain attenuators in existence – the pain can be gone in five minutes,” said Niemtzow, a physician, acupuncturist and senior adviser to the Air Force surgeon general. The procedure developed by Niemtzow is a variation of traditional Chinese acupuncture in which long, hair-thin needles are inserted into the body at any of hundreds of points to ease pain. Niemtzow’s variation uses one or more needles inserted into any of five points on the ear. The needles, which penetrate about a millimeter (or 4/100ths of an inch) into the skin, fall out after several days. The procedure can be repeated. The ear acts as a “monitor” of signals passing from body sensors to the brain, he said. Those signals can be intercepted and manipulated to stop pain or for other purposes. Lysergic acid diethylamide, or LSD, has been a sacrament of artists, would-be prophets, and other such social chaff since the 1960s. Invented in 1938 by chemist Dr. Albert Hofmann while looking for an analeptic (circulatory stimulant), he found it had no effect on lab animals and forgot all about it. Years later, on the fateful day 16 of April, 1953, he accidentally absorbed a little through his fingertips and went flying on the first acid trip. By then the CIA had a ten-year-old program running, looking for interrogation drugs and truth serums. They’d played with caffeine, barbiturates, peyote, and marijuana. They also tried to get subjects to kill while under hypnosis, rounding out an operation seemingly concocted from the plots of situation comedies. Martin A. Lee and Bruce Shlain report in their Acid Dreams: The CIA, LSD, and the Sixties Rebellion, that by 1953, the CIA had authorized project MK-ULTRA, designed to perfect mind-control drugs during the Cold War. Conceived by Richard Helms of the Clandestine Services Department, it went beyond the construction of mere truth serums and ventured into disinformation, induction of temporary insanity, and other chemically-aided states. Army doctors gave soldier volunteers synthetic marijuana, LSD and two dozen other psychoactive drugs during experiments aimed at developing chemical weapons that could incapacitate enemy soldiers, a psychiatrist who performed the research says in a new memoir. The program, which ran at the Army’s Edgewood, Md., arsenal from 1955 until about 1972, concluded that counterculture staples such as acid and pot were either too unpredictable or too mellow to be useful as weapons, psychiatrist James Ketchum said in an interview. The program did yield one hallucinogenic weapon: softball-size artillery rounds that were filled with powdered quinuclidinyl benzilate or BZ, a deliriant of the belladonnoid family that had placed some research subjects in a sleeplike state and left them impaired for days. Ketchum says the BZ bombs were stockpiled at an Army arsenal in Arkansas but never deployed. They were later destroyed. The Army acknowledged the program’s existence in 1975. Follow-up studies by the Army in 1978 and the National Academy of Sciences in 1981 found that volunteers suffered no long-term effects. Ketchum’s book, Chemical Warfare: Secrets Almost Forgotten, appears to be the first insider’s account of experiments performed on about 2,000 soldier volunteers, says Steven Aftergood, a government-secrecy expert for the Federation of American Scientists in Washington, D.C. Ketchum self-published the book, which he sells on his website. In an interview, Ketchum, 75, said he wrote the book to trigger a debate about the potential uses of non-lethal chemicals to incapacitate terrorists who take hostages or use human shields. “Incapacitating agents are designed to save lives,” he said. “Isn’t it at least something we should be thinking about?” Such research, says chemical weapons opponent Edward Hammond, would not only be illegal under current international law but probably never should have been performed. “There are things that have taken place in the past that should probably stay there,” says Hammond, director of the Sunshine Project, an Austin group that opposes biological warfare. Ketchum’s memoir draws from previously classified files, including filmed experiments, and notes of tests given subjects before, during and after they were fed, sprayed or injected with mind-altering chemicals. •LSD was rejected for weapons use because even soldiers on prolonged trips could carry out violent acts. •Even especially powerful marijuana lacked “knockdown effect.” It was rejected because its effects could be overcome simply by lying down and resting. •Intelligence reports of the time showed that Soviet researchers were planning a large-scale LSD program. •The CIA ran a parallel program that sometimes gave hallucinogens secretly to unwitting citizens. The agency persuaded two Army doctors to carry out experiments for the CIA that the Army would not have authorized. Ketchum says the Army phased out the hallucinogen project in about 1972, in part because disclosure of such research would have caused a “public relations problem.” Ketchum’s notes suggest the Army’s fears were not imaginary. They describe soldiers on “red oil,” an especially powerful form of marijuana, who smirked for hours and found even routine spatial reasoning tests to be hilarious. Soldiers under the influence of hallucinogens ate imaginary chickens, took showers in full uniform while smoking cigars and chatted with invisible people for two to three days at a time. One attempted to ride off on an imaginary horse while another played with kittens only he could see. Another described an order of toast as smelling “like a French whore.” Some of the researchers also took LSD “as a matter of curiosity,” Ketchum says. His lone trip, he adds, was “something of an anti-climax.” Colors seemed more vivid and music more compelling, he remembers, but “there were no breakthroughs in consciousness, no Timothy Leary stuff.” At least two soldiers who received LSD in the 1950s later sued the Army, alleging that the drug later caused them to suffer memory loss, hallucinations and occasional outbursts of violence. The claims were denied. After leaving the Army, Ketchum saw patients in a private psychiatric practice. The experiments on human subjects ended in 1975, according to Jeff Smart, historian for the Army’s Research, Development and Engineering Command at Aberdeen Proving Ground, Md. The United States signed a United Nations-sponsored chemical weapons ban in 1993 that outlawed incapacitating agents. Even so, the U.S. military has remained interested in researching non-lethal chemicals. In 2000, the Joint Non-Lethal Weapons Directorate, a Quantico, Va., group run by all four major military branches, commissioned a study of the possible military uses of “calmative” pharmaceuticals such as anesthetics and serotonin reuptake inhibitors. The Sunshine Project’s Hammond, who obtained the study through the Freedom of Information Act, says using calmatives as weapons would also be outlawed by the 1993 chemical weapons ban. Ketchum says that is not clear. In October 2002, Russian special forces used a calmative agent to subdue Islamist Chechen terrorists who were holding about 850 hostages in a Moscow theater. More than 120 hostages died from the drug’s effects. Army doctors gave soldier volunteers synthetic marijuana, LSD and two dozen other psychoactive drugs during experiments aimed at developing chemical weapons that could incapacitate enemy soldiers, a psychiatrist who performed the research says in a new memoir. The program, which ran at the Army’s Edgewood, Md., arsenal from 1955 until about 1972, concluded that counterculture staples such as acid and pot were either too unpredictable or too mellow to be useful as weapons, psychiatrist James Ketchum said in an interview. The program did yield one hallucinogenic weapon: softball-size artillery rounds that were filled with powdered quinuclidinyl benzilate or BZ, a deliriant of the belladonnoid family that had placed some research subjects in a sleeplike state and left them impaired for days. Ketchum says the BZ bombs were stockpiled at an Army arsenal in Arkansas but never deployed. They were later destroyed. The Army acknowledged the program’s existence in 1975. Follow-up studies by the Army in 1978 and the National Academy of Sciences in 1981 found that volunteers suffered no long-term effects. Such research, says chemical weapons opponent Edward Hammond, would not only be illegal under current international law but probably never should have been performed. “There are things that have taken place in the past that should probably stay there,” says Hammond, director of the Sunshine Project, an Austin group that opposes biological warfare. Ketchum’s memoir draws from previously classified files, including filmed experiments, and notes of tests given subjects before, during and after they were fed, sprayed or injected with mind-altering chemicals. At least two soldiers who received LSD in the 1950s later sued the Army, alleging that the drug later caused them to suffer memory loss, hallucinations and occasional outbursts of violence. The claims were denied. After leaving the Army, Ketchum saw patients in a private psychiatric practice. The experiments on human subjects ended in 1975, according to Jeff Smart, historian for the Army’s Research, Development and Engineering Command at Aberdeen Proving Ground, Md. The United States signed a United Nations-sponsored chemical weapons ban in 1993 that outlawed incapacitating agents. A Vietnam veterans group is suing the CIA for “thousands of secret experiments to test toxic chemical and biological substances under code names such as MKULTRA.,” its attorneys said today. The suit was filed in federal court in northern California on behalf of the Washington-based Vietnam Veterans of America, Inc., and six aging veterans with multiple diseases and ailments “tied to a diabolical and secret testing program, whereby U.S. military personnel were deliberately exposed, by government and military agencies, to chemical and biological weapons and other toxins without informed consent,” the Morrison & Foerster law firm said in a press release. The firm said the alleged CIA research program was launched in the early 1950s and continued through at least 1976 at the Edgewood Arsenal and Fort Detrick, Md., as well as universities and hospitals across the country contracted by the CIA. Defendants include the CIA, the Department of the Army, the Department of Defense and various government officials responsible for these agencies. “The CIA secretly provided financing, personnel, and direction for the experiments, which were mainly conducted or contracted by the Army,” the suit says. Update: CIA spokeswoman Marie Harf said the agency would have no comment “on specific matters before the court.” But, she added, “CIA activities related to MK-ULTRA have been thoroughly investigated, and the CIA fully cooperated with each of the investigations. In addition, tens of thousands of pages from documents related to the program have been declassified and released to the public. “MK-ULTRA was investigated in 1975 by the Rockefeller Commission and the Church Committee, and in 1977 by the Senate Select Committee on Intelligence and the Senate Subcommittee on Health and Scientific Research,” Harf added. While serving on my doctoral committee, Stubblebine helped organize my lecture series about Invincible Defense Technology in Moscow. Thanks to him, and the late Brig. Gen. Clarence E. Beck, U.S. Army (Ret. ), I recruited another distinguished general (retired Soviet Army General-Major Leonid Shershnev, who fought in Afghanistan) as well as other military-related leaders to participate in my doctoral program in Consciousness-Based Military Defense which is now known as Invincible Defense Technology in military circles. The goal of Invincible Defense Technology is to enhance the peace-keeping capabilities of the military, adding a “non-lethal weapon,” a kind of national armor (called “rastri kavach” in ancient Vedic literature) that would ensure the security and invincibility of their nation. The founder and chief proponent of this approach is the late Maharishi Mahesh Yogi, a renowned scientist of consciousness and Vedic scholar. Maharishi stated that so-called supernatural abilities are normal to a stress-free nervous system, which can be achieved through the Transcendental Meditation program and its advanced practices, if people are properly trained in the correct manner to harness them. In 1997, studying this non-religious approach, I completed my Ph.D. under the auspices of the doctoral program at The Union Institute & University. Invincible Defense Technology was labeled such because Maharishi recognized its potential to prevent the birth of an enemy, a principle he abbreviated with the phrase “victory before war.” His vision was that any country taking full advantage of this technology could become invincible. He asserted that invincibility can never be attained through conventional weapons, but can be attained if a nation is incapable of creating enemies. If a nation has no collective stress, it becomes “friends” with everyone. Prevention Wings of the Military consisting of about 3% of the military could ideally achieve this goal. These special units would be trained in the Transcendental Meditation (TM) and TM-Sidhi programs. They would practice them in large groups, twice a day. Extensive scientific research shows these programs not only reduce stress on the individual level, but also reduce the collective societal stress that is ultimately responsible for social problems, like war, terrorism and crime. For instance, a peer-reviewed study published in the Journal of Conflict Resolution [http://invinciblemilitary.org/articles/sapratableii. html#b41] (32: 776-812, 1988) found that a group of only two hundred people practicing IDT in Israel during the Lebanon war were able to reduce war deaths there by seventy-six percent. A follow-up study of seven different TM-Sidhi assemblies published in the Journal of Social Behavior and Personality [http://invinciblemilitary.org/articles/sapratableii. html#b13] (17: 1, 285-338, 2005) showed similar results as well as a 68% reduction of war injuries. These “effects at a distance” have been studied in other ways, such as research showing changes in EEG (brainwave) coherence. During the practice of Transcendental Meditation, an individual experiences “transcendental consciousness,” a proposed fourth state of consciousness. This state is characterized by increased coherence of the EEG where different parts of the brain are working together more coherently. Increased EEG coherence during the TM program correlates with increased creativity and achievement outside the TM program, in activity. When many people practice this technique (or the more advanced TM-Sidhi program) together in one place, the coherence-generating effect is enhanced. Also, when meditating groups are large, similar increases in coherence are produced in subjects far removed from the group. One experiment showed increases in EEG coherence one thousand miles from the group. Another study offers a proposed explanation of causality in biological terms. Research conducted on the powerful neurotransmitter serotonin shows that it produces feelings of contentment, happiness and even euphoria. Low levels of serotonin, according to research, correlate with violence, aggression, and poor emotional moods. The peer-reviewed study showed that higher numbers of Invincible Defense Technology experts correlated with a marked increase in serotonin production among other community members. This finding offers a plausible neurophysiologic mechanism to explain reduced hostility and aggression in society at large. Another peer-reviewed study conducted globally showed that international terrorism dropped 72% and world conflict dropped 32% during the global experiment and went back to previous levels after it was over. Militaries and civilian groups worldwide have already begun to harness the full potential of the human mind using Invincible Defense Technology. The book titled The Complete Book of Yogic Flying: Maharishi’s Mahesh Yogi’s Program for Enlightenment and Invincibility by Craig Pearson, Ph.D. is available at [http://mumpress.com/p_c16.html] and is the most comprehensive book available on the topic of Invincible Defense Technology. In congressional testimony, Army Lt. Gen. Stanley McChrystal vowed that he would use a “holistic” strategy and take extreme measures to avoid Afghan civilian casualties. Its “measure of effectiveness will not be the number of enemy killed, it will be the number of Afghans shielded from violence,” he said. By starting to think holistically and measuring the effectiveness of avoiding casualties, McChrystal is on the right track. However, his new strategy may not be sufficient to bring an end to the protracted violence. War is based in social stress that is not likely to be ended by changing the rules of engagement, limiting airstrikes or using small ground units in search and detention operations. Although a military solution to the Afghanistan war is improbable, it is possible to deploy a scientifically verified technology of defence to reduce societal stress and end the war. Extensive research has confirmed its effectiveness, and militaries have already applied it in order to defuse and eliminate conflict and prevent disruption and attack from within the country or outside the country. Meditation has been shown to reduce stress not only in the individual but also throughout society. The Vedic tradition of knowledge, from ancient India, includes highly developed, non-religious meditation practices, in particular the Transcendental Meditation programme and its advanced techniques that have become the focus of intense scientific research over the past 50 years. These practices, taken together, are known as Invincible Defence Technology (IDT) in military circles. They have been used by members of many faiths to eliminate conflict in the recent past. If the military were to apply this human resource-based technology, which is non-lethal and non-destructive, it could reduce the collective societal stress fuelling the tensions in Afghanistan. A Prevention Wing of the Military would be the ideal way to achieve this goal. It would comprise about 2 to 3 percent of the military of Afghanistan. The personnel involved would practice these technologies in large groups, morning and evening. Studies show that when the size of the IDT group reaches a particular threshold, war and terrorism abate, crime goes down in the affected population, and quality-of-life indices go up. Scientists have named this phenomenon the Maharishi Effect after Maharishi Mahesh Yogi, who first predicted it. In 1993, a two-month Maharishi Effect intervention was studied in Washington, DC. Predictions of specific drops in crime and other indices were lodged in advance with government leaders and newspapers. The research protocol was approved by an independent Project Review Board. The findings, published in Social Indicators Research, showed that crime fell 23 percent below the predicted level when the IDT group reached its maximum. Temperature, weekend effects, and previous trends in the data failed to account for changes. Over 50 studies have evaluated and confirmed the reduction of crime, violence, terrorism, and even open warfare through the establishment of IDT groups. The causal mechanism has been postulated to be a field effect of consciousness — a spillover effect on the level of the unified field from the peace-creating group into the larger population. A study published in the Journal of Social Behaviour and Personality offers an explanation of a proposed causality of IDT in biological terms. Research on the powerful neurotransmitter serotonin has shown that it produces feelings of contentment, happiness and even euphoria. Low levels of serotonin correlate with violence, aggression, and poor emotional moods. The peer-reviewed study showed that higher numbers of IDT experts practicing in groups correlated with an increase in serotonin production among other community members. These results were statistically significant and followed the attendance figures in the IDT group. This finding offers a plausible neurophysiologic mechanism to explain reduced aggression and hostility in society at large. The Maharishi Effect has also been documented on a global scale in a study published in the Journal of Offender Rehabilitation. When large assemblies of IDT experts exceeded the Maharishi Effect threshold for the world (about 7,000 at that time) during the years 1983-1985, terrorism globally decreased 72%, international conflict decreased 32%, and violence was reduced in other nations without intrusion by other governments. This study used data provided by the Rand Corporation. The evidence indicates that the military may be able to accomplish its mission simply by establishing a coherence-creating unit of IDT experts. As part of its responsibility to protect, the military is obligated to thoroughly examine methods for preventing war and terrorism. IDT is such a method. All that is necessary is to provide the proper training for a group of military personnel- or indeed, any large group within the country. Lt. Gen. McChrystal has the opportunity today to implement a cost-effective, scientifically validated and truly holistic strategy to bring peace to Afghanistan. Events on the ground in Afghanistan and Pakistan may increase the difficulty of exploiting this opportunity in the future.